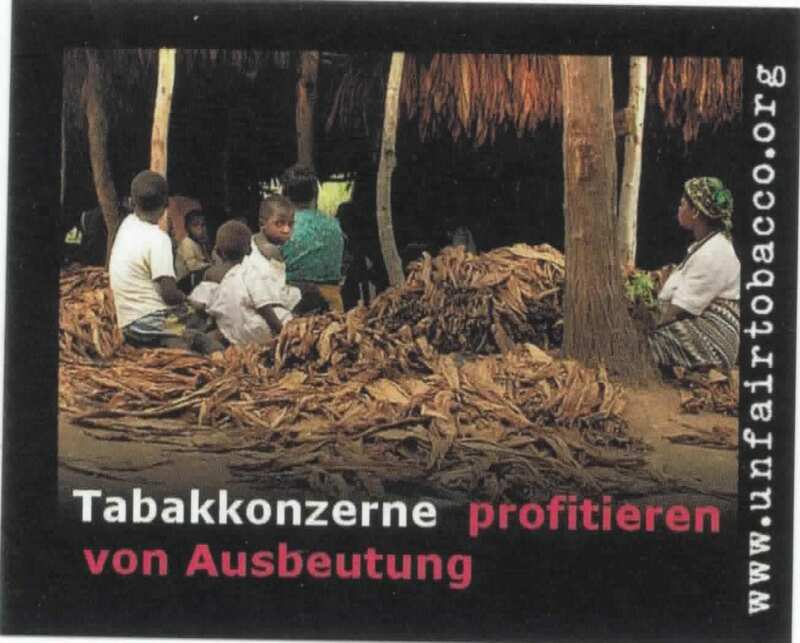 This sticker about exploitation in tobacco growing has the same size like graphic warnings on cigarette packs. You can educate your friends, colleagues and family about the poverty and related problems like hunger caused by tobacco industry. Tobacco farmers often are indebted to the companies which they supply with tobacco leaf. Our first SDG-Factsheet explains how poverty and hunger are linked to tobacco. In an open letter to members of the International Labour Organisation's Governing Body, tobacco workers demand that the ILO stops its cooperation with the tobacco industry.